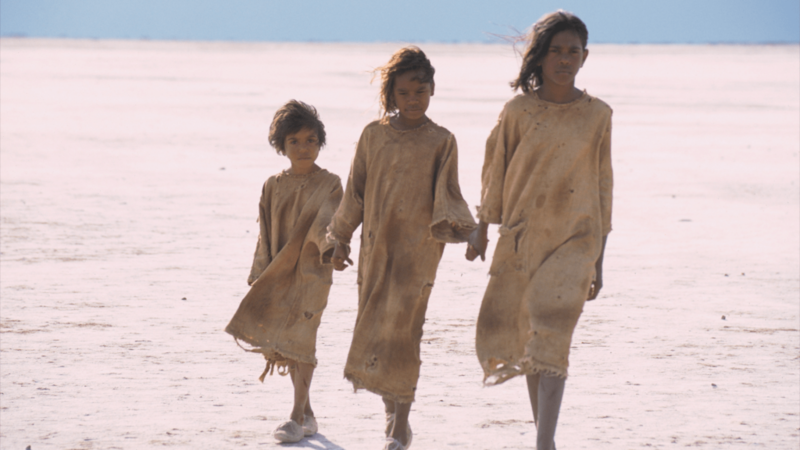 Tianna Sansbury, Laura Monaghan and Everlyn Sampi as Daisy, Gracie and Molly traversing a salt pan by Matt Nettheim, 'Rabbit Proof Fence', 2002. Directed by Phillip Noyce, Courtesy Phillip Noyce. A collection of portraits emerging from 100 years of Australian movies. It features Australian actors and iconic films and highlights the lesser-known early years of the Australian film industry.